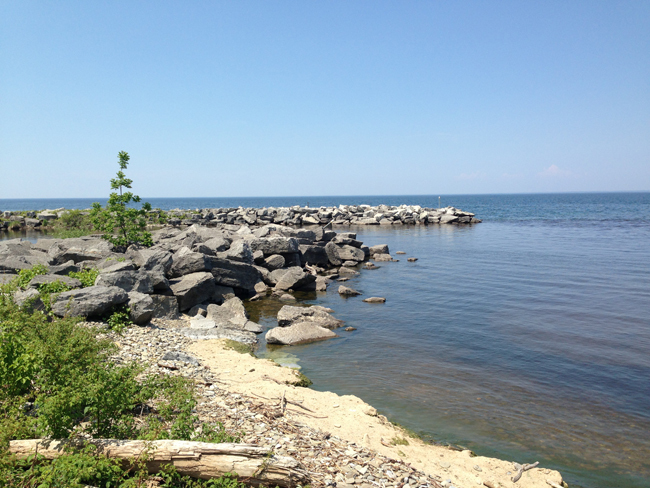 Information on the Great Lakes watershed area and DEC’s Great Lakes programs. This site provides information about efforts to keep the lakes clean for the people, animals, and plants that depend on them. Great Lakes water levels are continuously monitored by U.S. and Canadian federal agencies in the region through a bi-national partnership. NOAA-GLERL relies on this water level data to conduct research on components of the regional water budget and to improve predictive models. The Great Lakes Research Consortium is an organization of 18 colleges and universities in New York, with nine affiliate campuses in Ontario, dedicated to collaborative research and education on the Great Lakes. With nearly a 400 member faculty, who are conducting research in every facet of Great Lakes science. GLL strives to develop a Great Lakes-literate public capable of effectively contributing to the environmental, economic and social sustainability of the Great Lakes. The Great Lakes National Program Office coordinates U.S. efforts with Canada under the Great Lakes Water Quality Agreement to restore and maintain the chemical, physical and biological integrity of the Great Lakes Basin Ecosystem, which includes Lakes Superior, Michigan, Huron, Erie, and Ontario. Advises DEC regarding New York's role in regional, federal, and international water quality issues, and functions as a link between the government and the public. The Great Lakes Water Quality Agreement is a commitment between the United States and Canada to restore and protect the waters of the Great Lakes. The Agreement provides a framework for identifying binational priorities and implementing actions that improve water quality. EPA coordinates U.S. activities under the Agreement. The Division conducts a variety of programs to protect and conserve New York's waters. On this page you will find information about the Division's programs and recent activities. The IJC prevents and resolves disputes between the United States of America and Canada under the 1909 Boundary Waters Treaty and pursues the common good of both countries as an independent and objective adviser to the two governments. The Great Lakes Information Network (GLIN) is a partnership that provides one place online for people to find information relating to the binational Great Lakes-St. Lawrence region of North America. GLIN offers a wealth of data and information about the region's environment, economy, tourism, education and more. Lake Erie LaMP participants have identified ecosystem goals and objectives and assessed the state of lake. Through the development of issue related strategies, the LaMP will identify actions required to restore and protect the lake and evaluate the effectiveness of those actions. The Lake Erie LaMP is coordinated by a committee of water quality natural resource managers from both Canada and the United States, with participation from federal, provincial, state and local governments that have a role in implementation. A Lakewide Management Plan (LAMP) is a plan of action to assess, restore, protect and monitor the ecosystem health of a Great Lake. It coordinates the work of all the government, tribal, and non-government partners working to improve the Lake ecosystem. A public consultation process ensures that the LAMP is addressing the public's concerns. Bathymetry of Lake Erie and Lake Saint Clair has been compiled as a component of a NOAA project to rescue Great Lakes lake floor geological and geophysical data and make it more accessible. This project is a cooperative effort between investigators at the NOAA National Geophysical Data Center's Marine Geology and Geophysics Division, the NOAA Great Lakes Environmental Research Laboratory and the Canadian Hydrographic Service. A brief overview of this watershed and its water quality is presented below. For more detailed information about the Niagara River/Lake Erie Watershed, published NYSDEC reports are also available. Delicate sand dunes stretch 17 miles along the coast of Lake Ontario, cradling a fragile mosaic of lakeshore beach, flats and wetlands. The Eastern Lake Ontario Dunes and Wetlands system is the only freshwater barrier-beach formation in New York and is an important staging area for migratory birds and other unique species. Discover more about this fascinating coastal environment, including it's flora and fauna, the trails and boat routes available, and how you can help protect this area. If you are interested in educational activities, check out the Dune Fun and the Activities for Learning More pages. For more technical information about the dunes and wetlands, visit the reference and publications pages. For both the coastal barrier and limestone barrens systems, the Nature Conservancy developed and improved their understanding of underlying natural processes and conducted full-scale conservation planning. Great Lakes National Program Office support has also allowed them to broaden and deepen working relationships with public and private partners. To achieve long-term conservation of both of these unique systems, The Conservancy undertook the Eastern Lake Ontario Conservation Initiative in 1993. The new bathymetry of Lake Ontario has been compiled as a component of the NOAA Great Lakes Data Rescue Project. This is the third in a series of five containing bathymetric data of the Great Lakes - following Lake Michigan (1996) and Lake Erie (1998). The Lake Ontario Lakewide Action and Management Plan (LAMP) is a bi-national plan to protect and restore the health of Lake Ontario by addressing the chemical, biological and physical stressors affecting the lake. The LAMP guides the activities of these and other U.S. and Canadian federal, state, provincial, and tribal agencies by establishing ecosystem goals, objectives and indicators. The objectives of this report were to examine the New York Lake Ontario Basin to determine the status of surface water resources, the scope and methods of watershed management at the local level, ways to advance resource-based watershed management programs and practices at the local level with regional benefits.